While India has taken a major step in the direction of lessening the paperwork and hurdles required to be passed by Russian firms doing business with India, Russia has reiterated the advantages of rupee-ruble trade in order to achieve the bilateral trade targets. New Delhi (Sputnik): The Indian government has announced the setting up of a fast track, single-window mechanism for Russian companies to be helmed by the senior-most bureaucrat in the Department of Industrial Policy and Promotion (DIPP). "This mechanism would be in addition to the Russia Desk that had been set up earlier to promote Russian investment in India. Through this mechanism, we will ensure that you (Russian companies) talk to only one ministry and all your issues will be resolved at one place," Suresh Prabhu, India's Minister of Commerce said while addressing the India — Russia Business Summit in New Delhi. The Indian Commerce Minister also said that India will soon sign a Free Trade Agreement (FTA) with Eurasian Economic Union (EaEU), which will benefit all the countries of the region and also promote inter-regional partnerships between the states of India and the regions of Russia. He also called for a government-level agreement with Russia for diamond imports in a way that does not adversely impact New Delhi's balance of payments. "We should work out a government-to-government agreement in which we import in a manner that does not adversely impact our balance of payments and we will meet our demand. This way Russian exports to India will increase and we import it, process it and re-export that, and both get benefited," Commerce Minister Prabhu added. On the other hand, Russia reiterated that the introduction of the rupee-rouble payment mechanism will provide a major boost to bilateral trade. "Our country is looking at an investment protection and avoidance of double taxation agreement with India….We are also looking at trade in national currencies and a strategy for economic cooperation," Maxim Oreshkin, Russian Economic Development Minister, said. 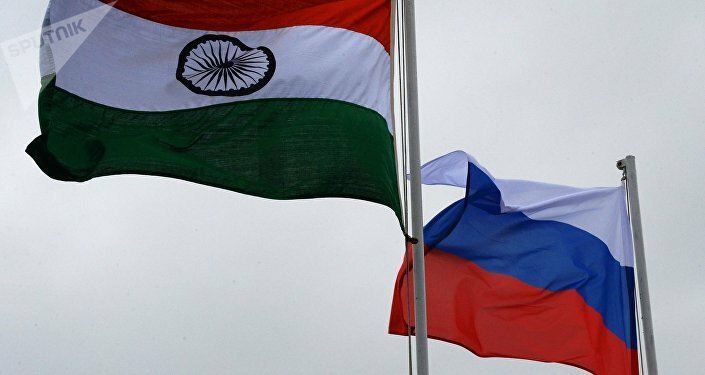 India-Russia bilateral trade jumped to $10.68 billion in 2017-18 compared to $7.48 billion in 2016-17 (20% increase) as the two countries agreed to work for further increase and diversification. The trade is inclined in favor of Russia as India's exports in 2017-18 were valued at just over $2 billion as compared to Russia's $8.5 billion export to India. "The two sides expressed their support to promoting bilateral trade in national currencies," India-Russia Joint Statement issued after the 19th annual summit on Friday reads. The India-Russia Business Summit was held on the margins of the 19th Annual Summit on October 4-5 in New-Delhi with the participation of large business delegations from both sides representing important areas of bilateral cooperation. The first meeting of the Strategic Economic Dialogue between the NITI Aayog of India and the Ministry of Economic Development of the Russian Federation would be held later in 2018 in Russia.